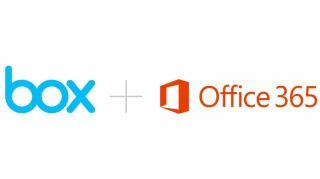 Box has introduced a new feature that aims to reduce the lure of Microsoft OneDrive; Box for Office online, as its name alludes to, allows users to create and manage their Office documents (Word, PowerPoint, Excel) anywhere and on any device, from within Box. It sounds a lot like Office Online but with your files on a third party rather than on Microsoft's own cloud storage. Box claims to have more than a billion files created either for or by Microsoft Office products with millions more added every day. The storage company also revealed that Microsoft Office accounts for half of all content that has been edited and uploaded to Box. Key features of the new service includes seamless workflows between Box and Office Online (meaning that you can swap files between the two services), full editing capabilities and easier collaboration thanks to granular collaboration controls. Competition in the cloud storage business has intensified over the last 12 months with Amazon, Google and Microsoft turning the heat up, leaving smaller players like Box and Dropbox feeling the heat. Box offered unlimited to its business users shortly after Google made a similar announcement at Google IO last year and days after Amazon launched Zocalo.